Eating at McDonalds is a guilty pleasure that we have all done before. It seems like there is a McDonalds restaurant on just about every corner and when we’re in a rush, or simply don’t have time to plan a meal, we always know that we can go to McDonalds to get something to eat. However, lately McDonalds sales have been falling in their primary market, the U.S. What has McDonalds done wrong and how can they fix it? McDonalds is a big, successful restaurant that has been around for a long time. You would think that they would have worked out any problems a long time ago. It turns out that this is not the case. What seems to have happened is that McDonalds has lost relevance with a portion of its base of customers. After having talked with this segment of their customer base, McDonalds now believes that they need to solve problems with their menus and start to offer their customers better service. The reason that McDonalds knows that they have a problem is because their bottom line results are showing them that something is wrong. For two consecutive quarters their profits have been going down and they’ve been especially hard hit in their primary market: the U.S.A. In the past McDonalds added items to its menu that were designed to meet broad tastes. Lately, however, they’ve been rolling out new menu items very rapidly. This made the McDonalds menu complicated and also included items that their customers found to be too expensive. Cleary they had forgotten about their product development definition. The end result of this was that McDonalds was stuck with a great deal of food that they simply could not sell. This would not look good on anyone’s product manager resume. To make matters even worse, the service at McDonalds has been going downhill also. The addition of so many new items to the menu has resulted in bottlenecks in the kitchen and this has resulted in slow food preparation time and the perception of poor service. In order to address its service problem, McDonalds is doing two things. The first is to redesign their kitchen area and add expanded prep tables so that their employees will have more room to prepare the food. McDonalds is also changing how they staff their restaurants. Going forward they are going to be adding more employees during both peak hours and during the weekends. The hope is that this will reduce the amount of time that customers will have to wait for their food to be prepared. 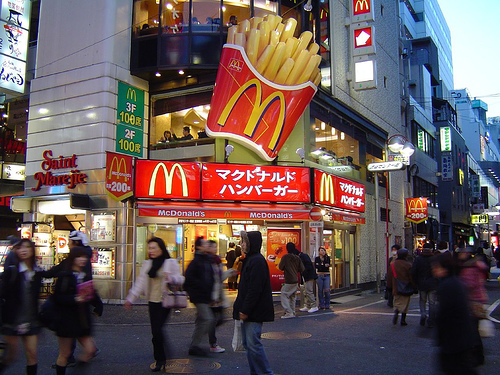 McDonalds is one of the world’s most successful restaurant chains. However, they have been seeing their sales in the U.S. start to slide. Clearly they’ve been making mistakes and now they need to do something about it. One of the big mistakes that McDonalds made was to make their menu too complicated for their customers to understand. So many new products were introduced in such a short period of time that their customers no longer knew what to expect when they visited. Additionally, all of the new food items caused many service problems to start to show up. Solving problems like this is a part of a basic product manager job description. McDonalds has identified that they are having problems. They will now take steps to fix them. As product managers we need to learn from McDonalds mistakes. Don’t introduce too many new products or features too quickly. Additionally, take the time to service what you are delivering well before you try to deliver more. Let the king of fast food show you how it should be done! Question For You: If McDonalds introduced new food slower, do you think that they would have been more successful? Let’s face it, being a product manager means that there are a lot of different things that you are responsible for accomplishing. Many of these things are very small details, a few are medium sized tasks, and just a couple may be very large. However, if you “drop the ball” on any of the things that have to be done you may put the success of your product at risk. How can a product manager become perfect and never forget to do everything that has to be done?